The Pagham Pram race committee held a fund raising Bingo Night on Saturday the 8th Sept at Pagham Village Hall. The event, which was a sell out success and raised over £1500 for local good causes. 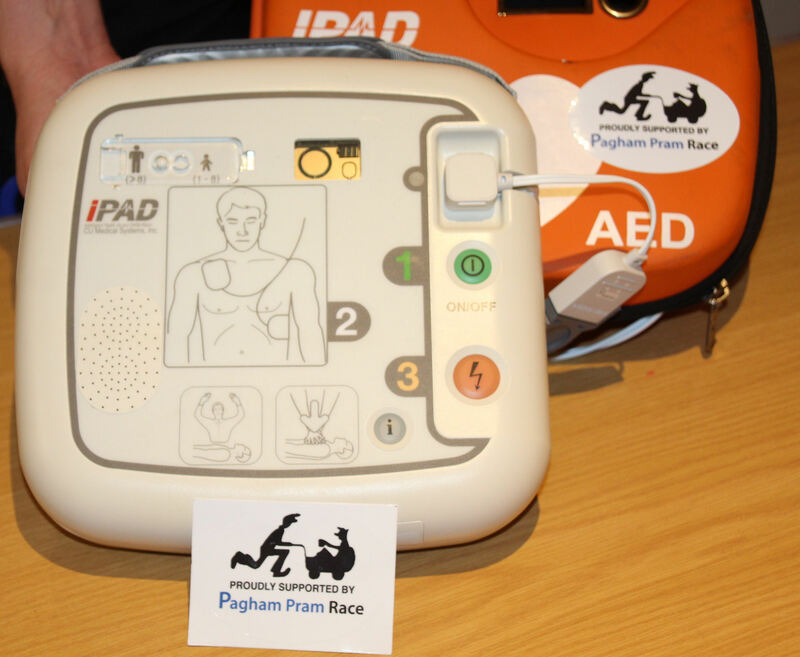 During the event the Pram race committee officially handed over a £1000 portable defibrator to Bognor Regis Branch Community First Responders. The Defib was purchased out of monies raised by the committee in 2017. Committee Chairman Mike Warren commented “This is the first time the committee has funded a device of this nature. My Committee and I unanimously agreed that this was a great use of some of the money we had raised last year. We hope of course it never has to be used but if it saves just 1 life then its job done. 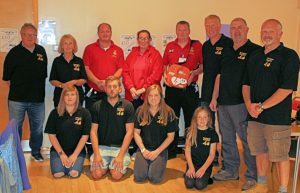 BRANCH Community Responders are volunteers in the community who are trained to respond to emergency calls alongside the South East Coast Ambulance Service (SECAMB). Being part of the communities of Bognor, Bosham, Chichester, Arundel, Rustington, Hunston, and the surrounding areas enables them to arrive on scene quickly and provide life-saving treatment until the ambulance arrives. Tony Taylor, Liz Carey, First Responders, Mike Warren (committee Chairman), Pete Cullingham, Paul Moore. Charlotte Moore, Tommy Moore, Holly Moore, Grace Cullingham (committee Helper).